← How Can You Make Communication Easier with Adults with Developmental Disabilities? 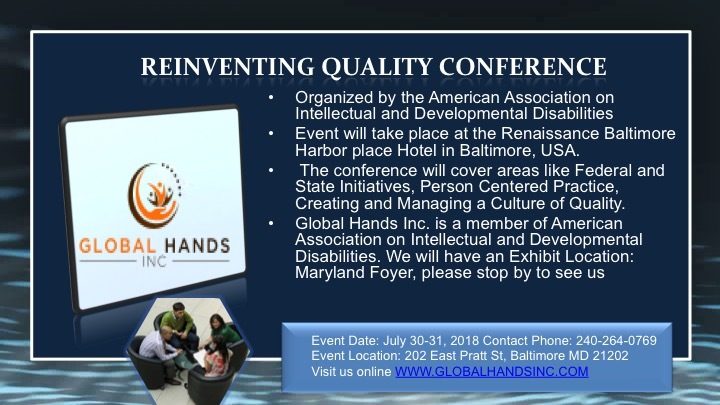 Event will take place at the Renaissance Baltimore Harbor place Hotel in Baltimore, USA. The conference will cover areas like Federal and State Initiatives, Person Centered Practice, Creating and Managing a Culture of Quality. This entry was posted in Company News and tagged Reinventing Quality Conference. Bookmark the permalink.